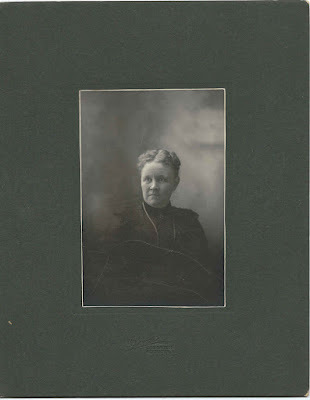 Photograph of a woman identified on the reverse as Emma Ayer. The photograph was taken at the Bond studio of Augusta, Maine. Ayer could be Emma's maiden surname or married surname. The photograph itself measures about 5-1/2" by 3-1/2". The whole piece measures about 10" by 8". 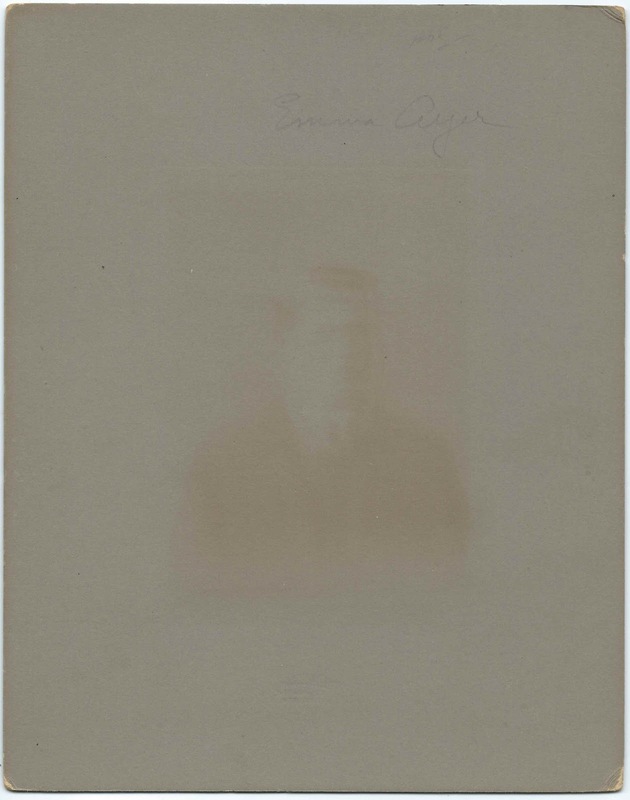 Several women in the Augusta, Maine, area could be the Emma Ayer in the photograph. 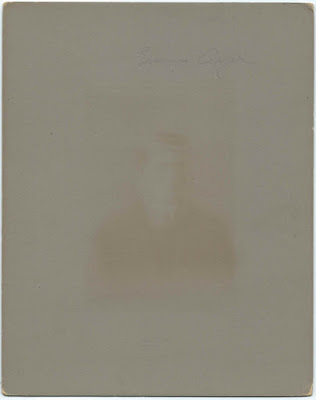 A possible prospect is Emagene D. (White) Ayer, "Emma", wife of Fred Augustus Ayer of Randolph, Maine. 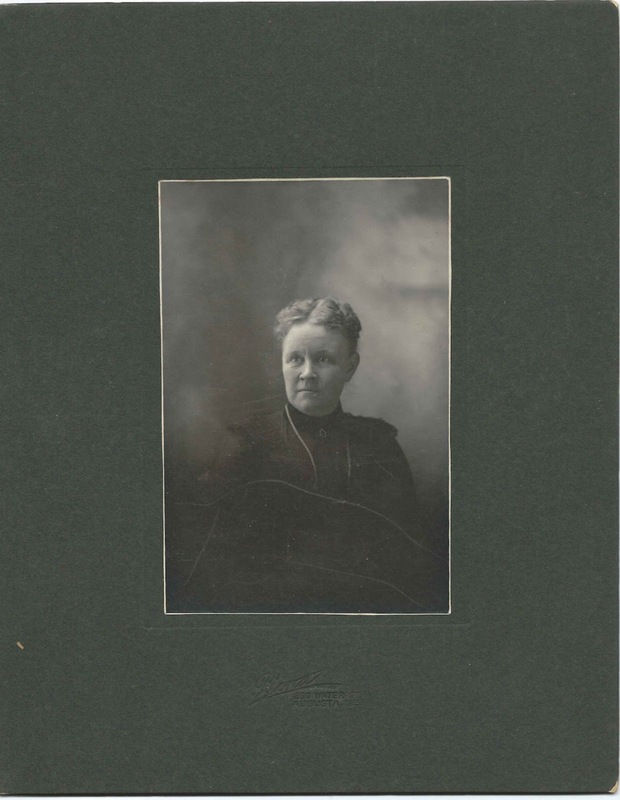 This Emma was born September 20, 1851 at Augusta, Maine, daughter of Charles White and Betsey (Robbins) White. Emma died in 1947 and is buried in the Maple Grove Cemetery at Randolph, Maine, with husband Fred, who died in 1936. If you recognize Emma from your family photographs and/or research, please leave a comment or contact me directly.